The features you always wished for. Brilliant photos. 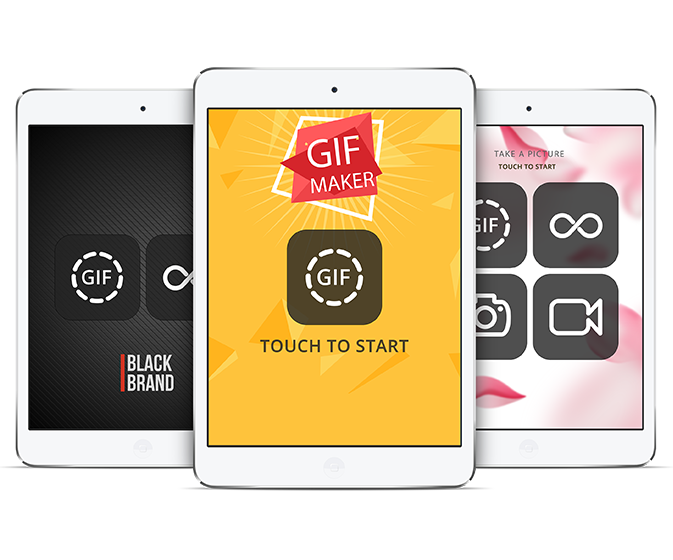 Animated GIFs. Surprising Boomerangs. Entertaining video clips. 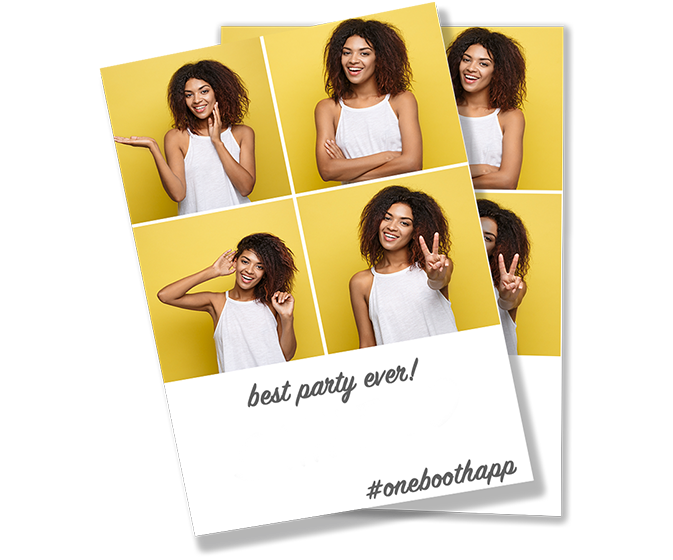 With Onebooth you can have it all. When creating a campaign you can either select one content type or make any combination. Power to you. Make the most of your picture. Tailor-made content on every event. 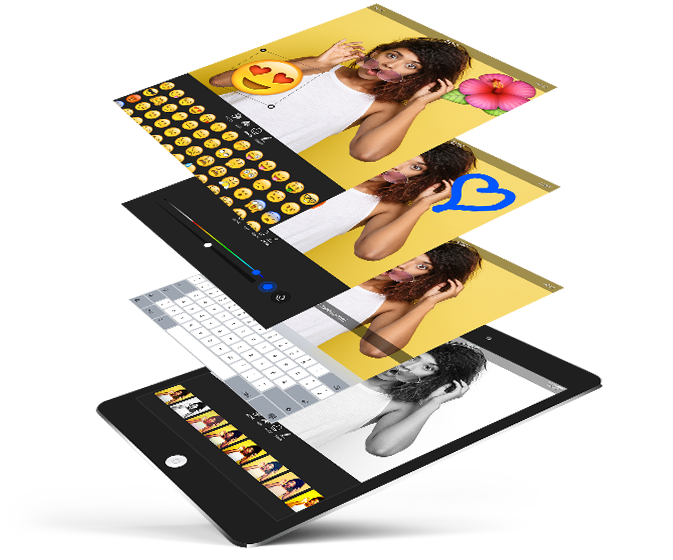 With our social editing options your photo booth content will get a truly individual touch and make every other photo booth solution look lame. 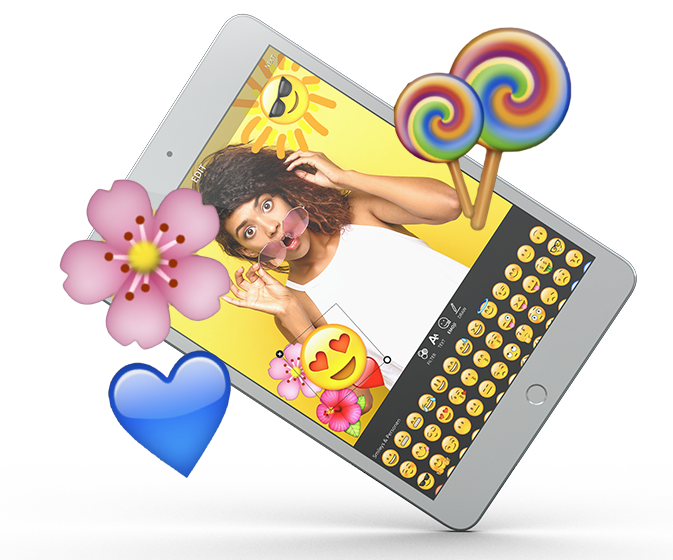 Photo Filters, Emoji, Custom Texts or Painting – We are relentless about constantly rolling out new fancy tools to keep you and your customers happy. Onebooth makes it easier than ever for your users to spread your content around the social web. Your predefined hashtag will be automatically put into the post caption to help you extend your social reach. 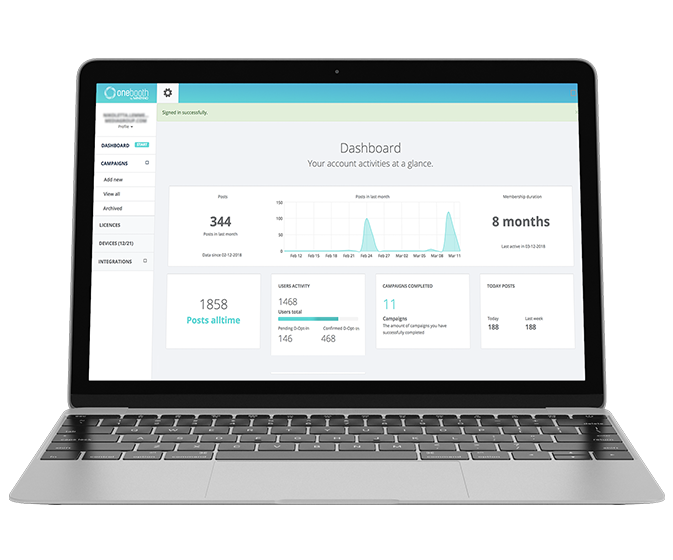 Monitor relevant KPIs using our Analytics dashboard and get a deep understanding of the campaign performance. We slice and dice the data and present it to you in the most intuitive way. With our Green Screen feature you can transport your users on top of the Empire State Building or next to the Eiffel Tower. Create an effect that reminds most people to Hollywood movies. No special lighting environments. No expensive backdrops. No hassle. Just tap start. Make sure your guests remember who threw that great event. Use Dropbox watch folders, Apple AirPrint or our native Windows printing application (coming soon) to turn beautiful content into beautiful keepsakes. 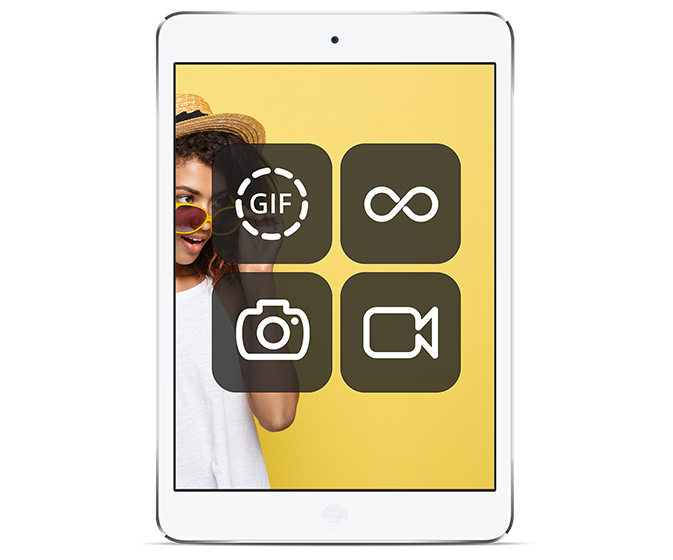 No need to macgyver your print layouts on an iPad or using external tools. Our cloud based print layout creator allows you to create stunning layouts with low effort. We provide you with free print templates to help you save even more time. Use our stickers to transform the way your guests and customers play and connect with your brand. You can either choose from a wide range of Onebooth stickers or upload your own. Ever had trouble with unreliable internet coverage at events? We feel you. That’s why we’ve designed Onebooth to work smoothly even when you’re completely offline. Simply download your campaigns and run them any time later. 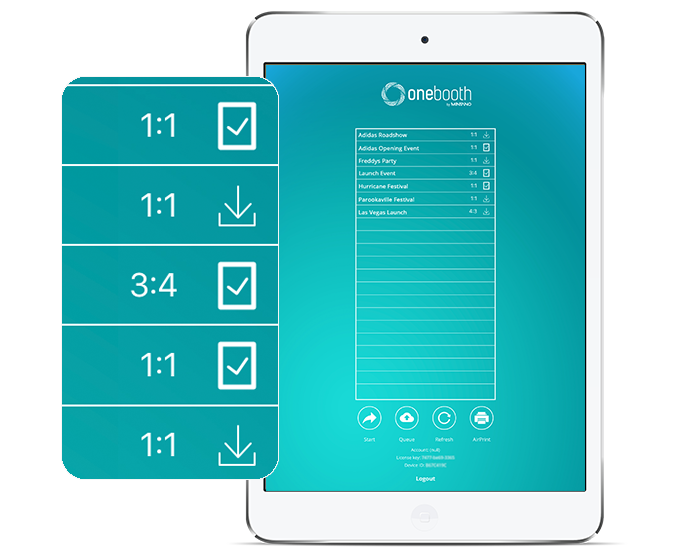 With Onebooth you can run your Live Gallery on any screen right from your web browser. New Onebooth posts appear in real-time and encourage other users to participate. Need content moderation? We got you covered. Simply hide any post within your campaign dashboard, in your office or on the way. Custom video screen saver. Custom app color scheme. Custom emails. Custom landing pages. 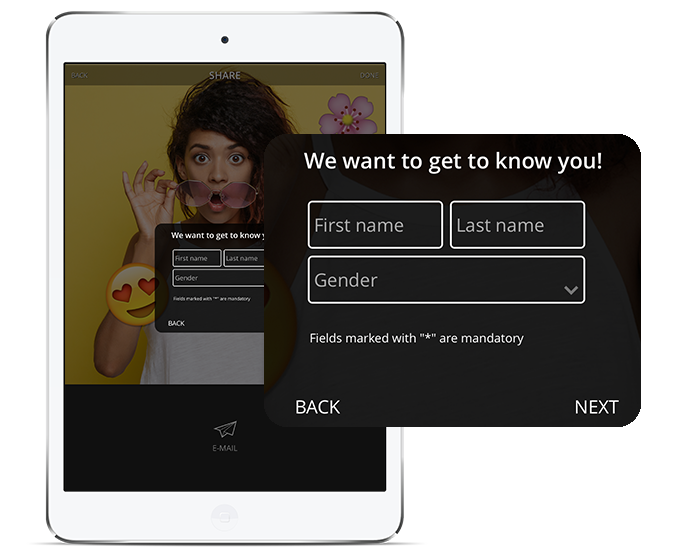 We offer extensive options to customize the look-and-feel of your photo booth campaign along the entire user journey. Join the photo marketing revolution.